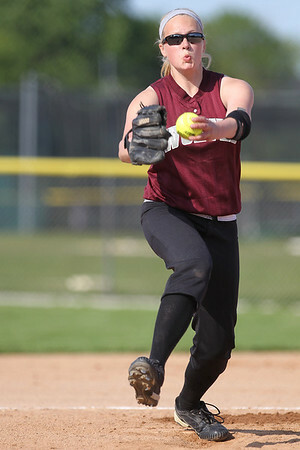 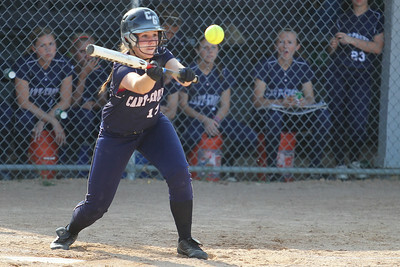 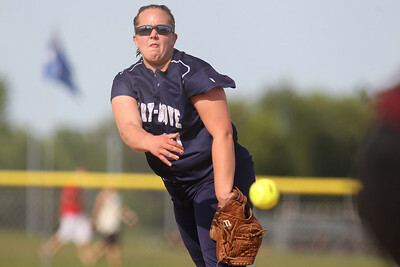 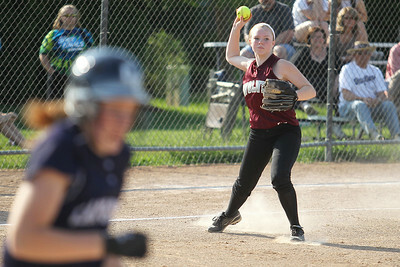 Cary-Grove's Lindsay Efflandt watches her hit fly in the air during a game against Prairie Ridge Monday, May 14, 2012 in Cary. 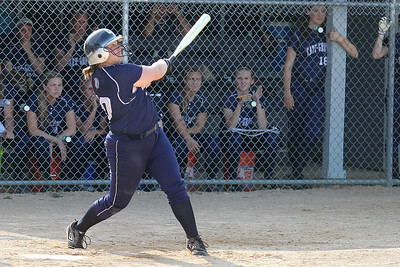 Efflandt hit a double off the fence on the swing. 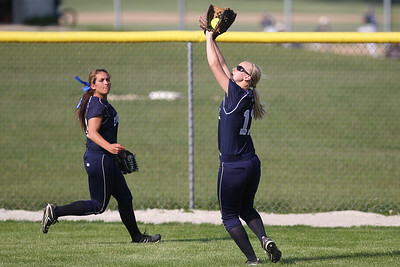 Cary-Grove won the game 1-0.